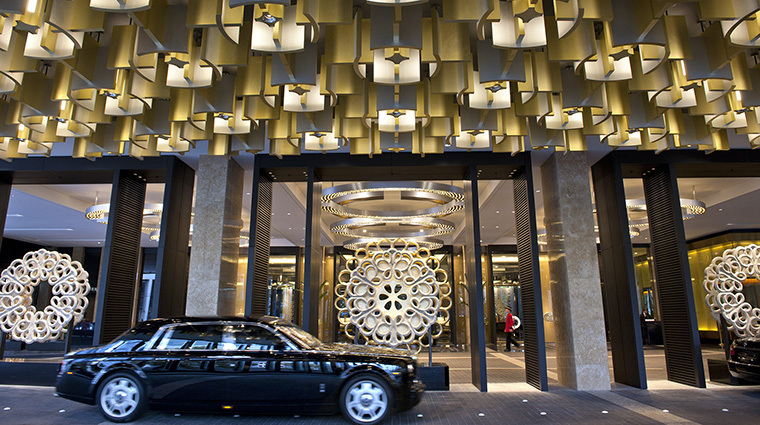 A central part of Melbourne’s Crown Casino complex, Crown Towers Melbourne is one of three hotels and decidedly the most lavish. 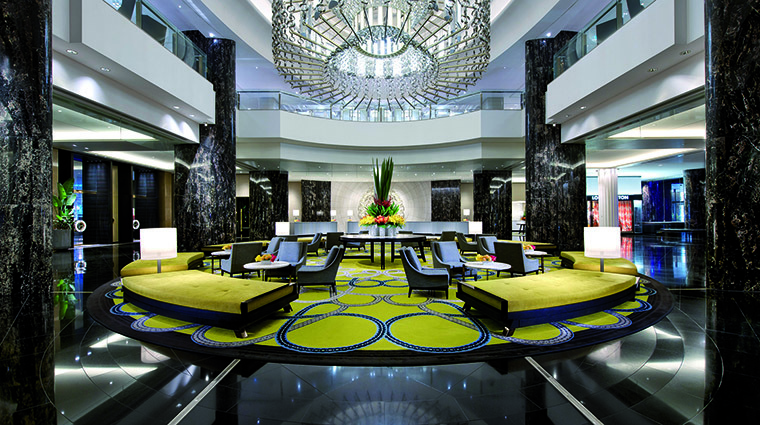 As you enter the heavy glass doors into the impressive lobby, your eyes are drawn to the grandiose chandelier illuminating the highly polished black granite floors and marble pillars. 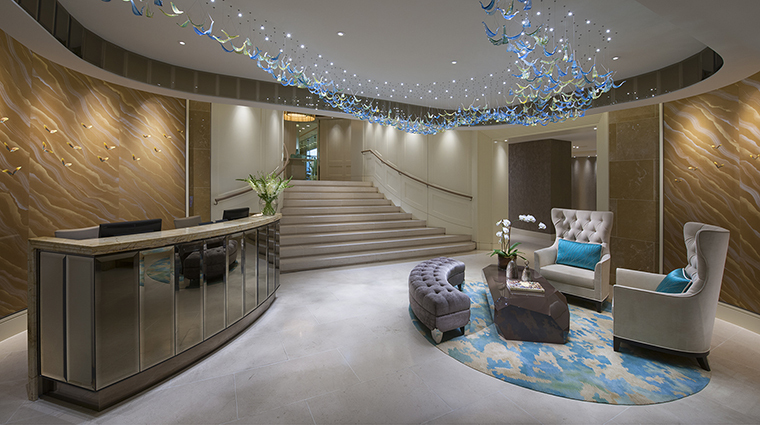 The interior design throughout the hotel is a contemporary take on art deco — slick surroundings are accented with pops of color. 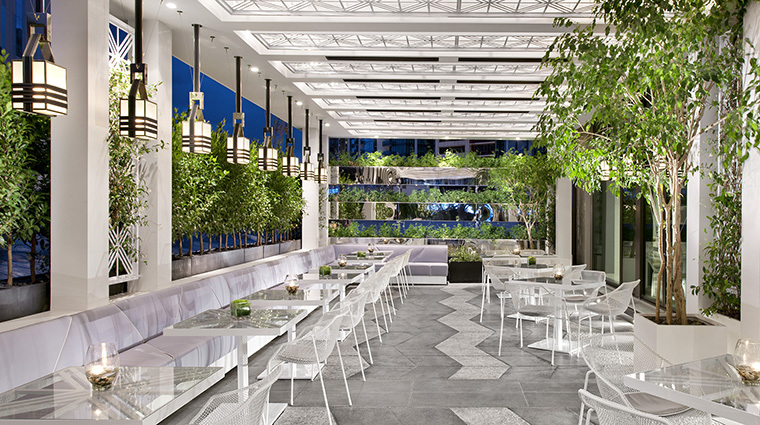 Come evening, the sound of live jazz echoes softly throughout. 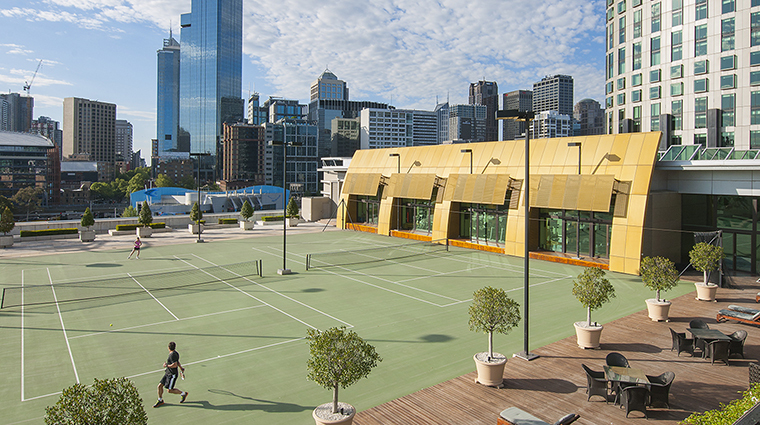 Located on the southern bank of the Yarra River in Melbourne’s central business district, the Crown complex could be a destination in itself with luxury gaming facilities, high-end boutiques, indulgent spas and upscale restaurants and nightclubs. 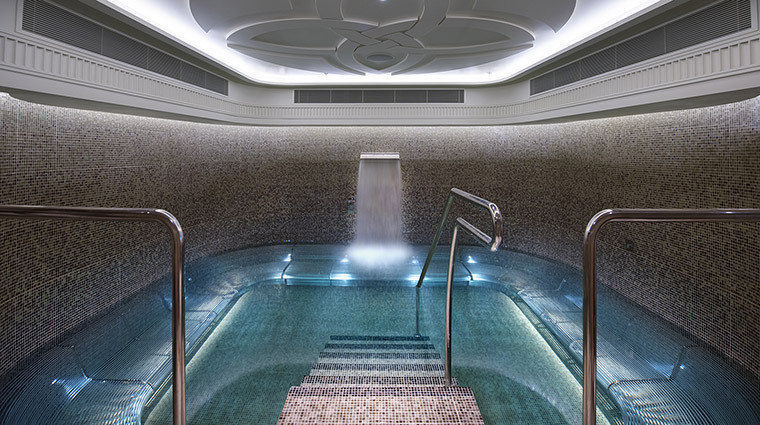 The recently refurbished Crown Spa offers separate male and female Aqua Retreats, which include a vitality pool, hammam, a therapeutic rain shower and a luxe private lounge — all are complimentary for those who book a service that lasts at least one hour. 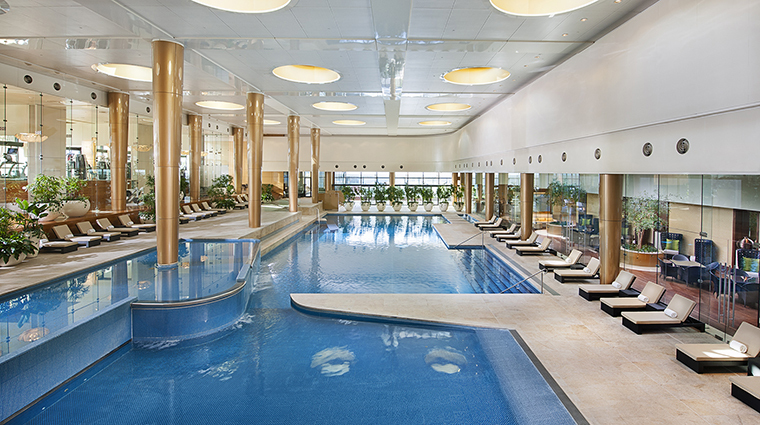 Located adjacent to the spa is the state-of-the-art gym that overlooks the heated lap pool. 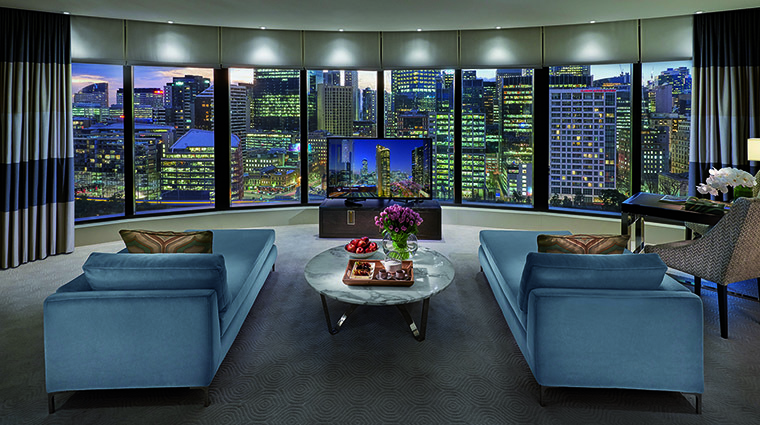 Melbourne is known as a destination for gourmands, and with a range of world-class restaurants within the Crown Complex, you are spoilt for choice without having to venture outside the resort. Sink into one of the crescent-shaped leather booths at Dinner by Heston Blumenthal or book a table for two overlooking the city skyline and watch the hourly Gas Brigades show, known for shooting the world’s largest fireballs into the night sky. Brown liquor lovers will want to stop in for a stiff one at The Waiting Room. It’s known for its Old World cocktails and an immense range of single malt scotch and other whiskeys. 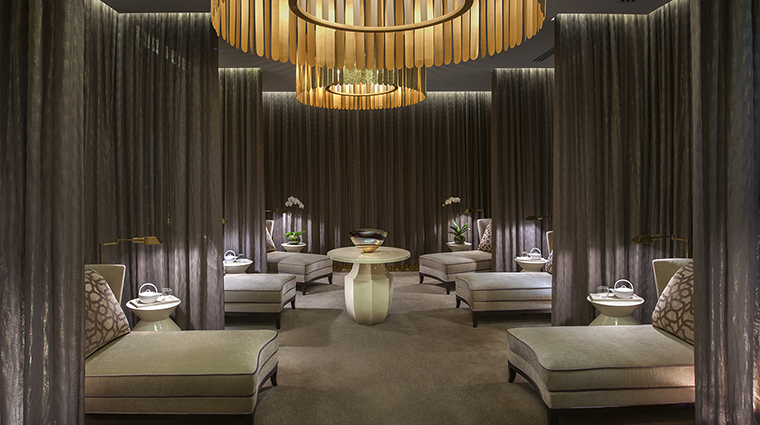 Swiss luxury skincare brand La Prairie is behind some seriously effective facials and body services at the spa; choose from a vast array of massages and energy treatments, plus signature packages. 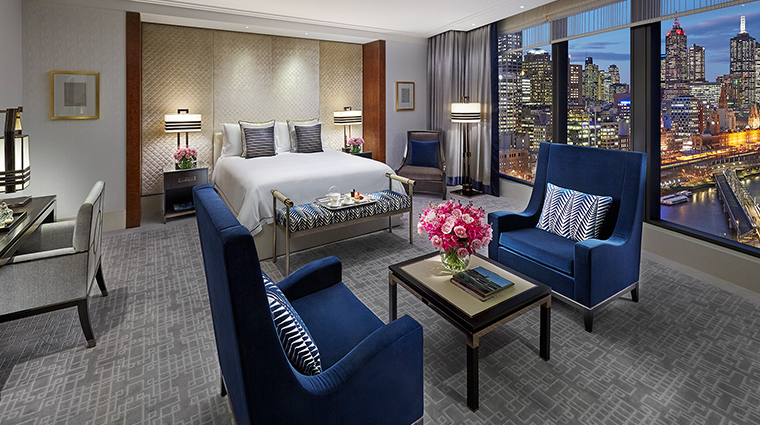 Rooms here are sophisticated and contemporary with attention paid to details. 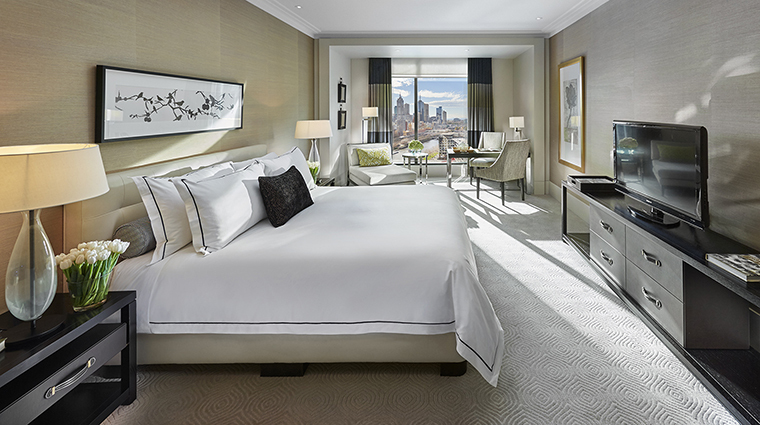 Perhaps most notably, guest rooms have floor-to-ceiling windows with sweeping views of the city skyline or out to the bay. The color palette is subdued — think grays and tans, or golds and taupes — as is the plush décor. 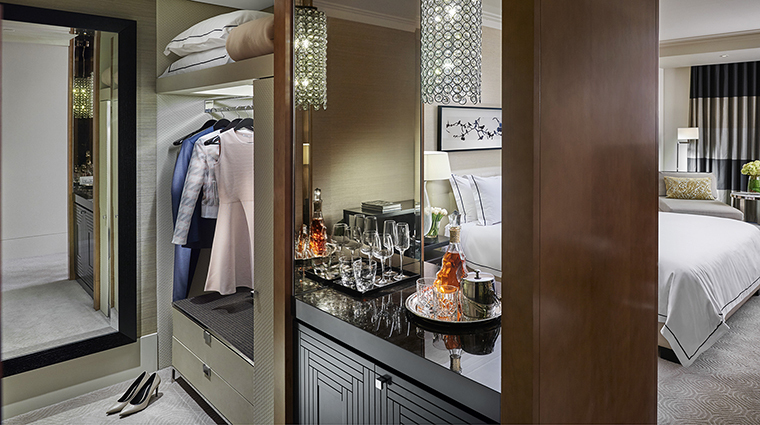 You’ll see geometric designs, oak furnishings and bound leather drawers set off by quilted headboards and plump embossed pillows. 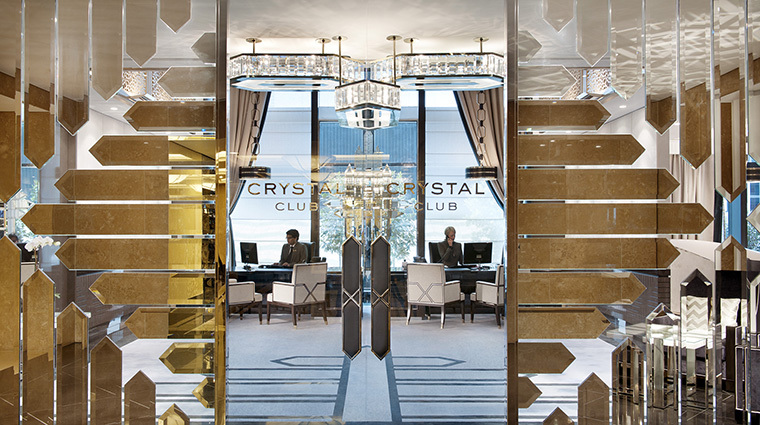 Marble, mirrors and pendant crystal chandeliers bedeck the large bathrooms. You might want to take advantage of the bathroom TV while enjoying a soak in the deep bathtub. 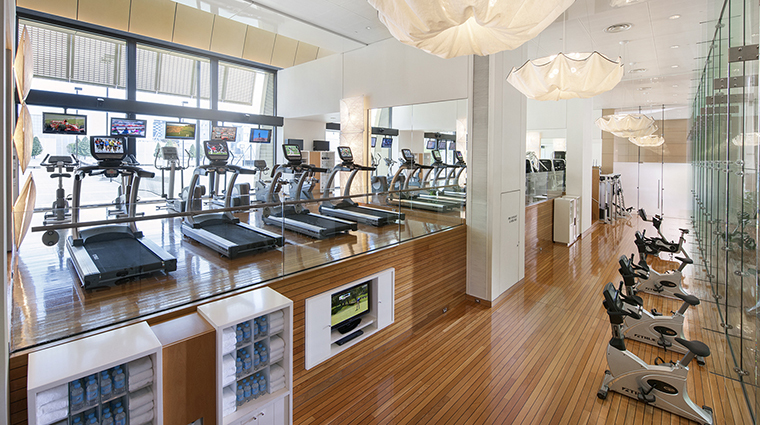 You have complimentary Wi-Fi access, and each room comes fitted with a tablet device. Acting as a digital concierge, you can discover the hotel's facilities, see local events and attractions or order room service with one click. One of the city’s most sought-after meals is found at Dinner by Heston Blumenthal, a place that reinterprets food throughout British history bringing it into the 21st century. 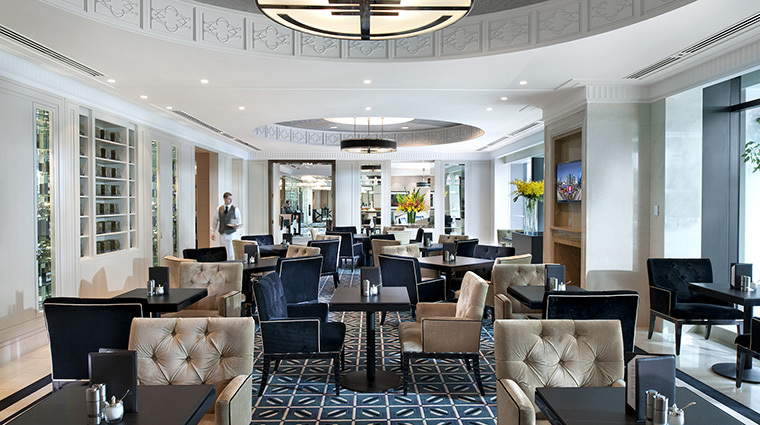 Favorites from the London flagship restaurant are on the menu, including the famous Meat Fruit (chicken liver parfait hidden in what deceptively looks like a mandarin) and tipsy cake (brioche with brandy, vanilla cream and slices of roasted pineapple). A slew of other top-notch dining establishments will keep the hungry traveler satisfied, too, with fare ranging from French and Italian to Japanese and contemporary Australian. For sweeter tooths, afternoon tea is served daily; or take to your room a chocolate box prepared each day by the luxury hotel’s master chocolatier.